Stamford Notes: Good food, good cause, good stuff! 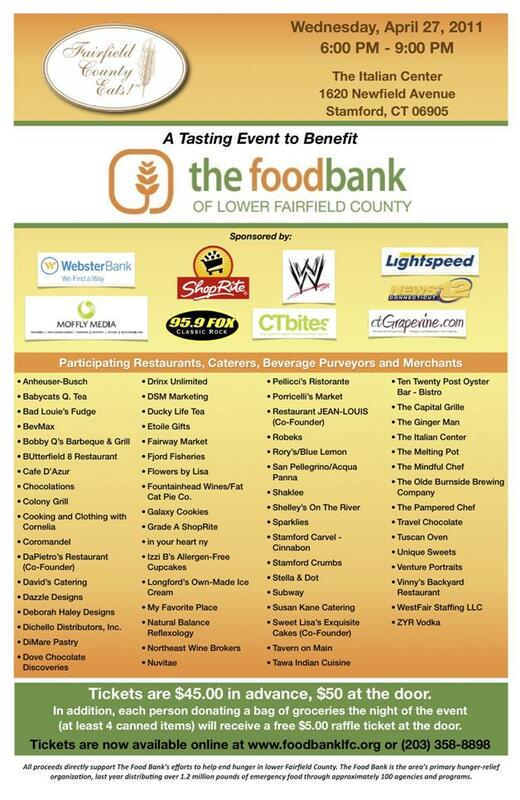 The event benefits The Food Bank of Lower Fairfield County, which is a great organization supporting the people who need the most help in our community. You can buy tickets for $45 now, or $50 at the door. If you bring a bag of groceries to the event (just throw 4+ cans in the bag) you'll get a free raffle ticket worth $5...and potentially much more! 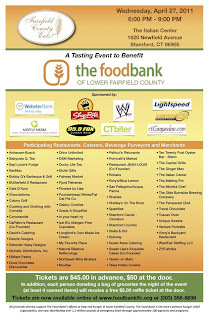 Make your plans by visiting the Food Bank's website or by calling 203-358-8898.